Rabbi Shishler online: Get (a) life! If you ever thought that chicken-swinging at kapporas was bizarre, the Talmud says that the Parah Adumah- or Red Heifer- is the most bizarre of all Jewish rituals. It involves finding a perfectly red cow; more than two black hairs on it would disqualify it. No sooner do you find this cow, you burn it (and, trust me, its ashes don't come out red, so what difference did the colour make anyway?). Then you would have mixed some of those ashes into water and you would have had the only concoction that could have been used in Temple times to purify a person from the impurity contracted through contact with a dead body. Funny thing, though, the kohen who sprinkled the ash-water would then become impure and would have to undergo a purification process of his own. Even King Solomon, known as the smartest person to ever have lived, said that he was stymied by the Parah Adumah. The only person to whom G-d ever offered a glimpse into the meaning behind this process was Moses. And he never shared what he was told. Clearly, Moshe and the Red Heifer had a special relationship. He had to prepare the first one ever used. Tradition has it that some of the original ashes that Moshe had processed had to be preserved and recycled into the ashes of every subsequent Parah Adumah. The Torah even says that the Parah Adumah will always be named after Moshe. So, what's Moshe's special connection with this weird mitzvah? Moshe was perplexed by death. He couldn't fathom how Hashem would allow such an irreversible negative energy into His world. But, when Hashem introduced Moshe to the Red Heifer, he came to realise that even death can be "cured". Sure, in those days, it was only the person contaminated by contact with death who was cured, but the process carries the promise that one day death will be permanently undone. And that was very important to Moshe, because he represented life, endurance and eternity. The Mishkan that Moshe built was never destroyed, only hidden away before the Temple was built. The ashes that Moshe prepared for the original Parah Adumah were kept for all future generations, in keeping with his attitude of enduring contribution. Moshe's teachings have been studied globally by religious people, not only Jews, forever. The Talmud even suggests that Moshe did not die, but relocated to serve G-d on another plane. 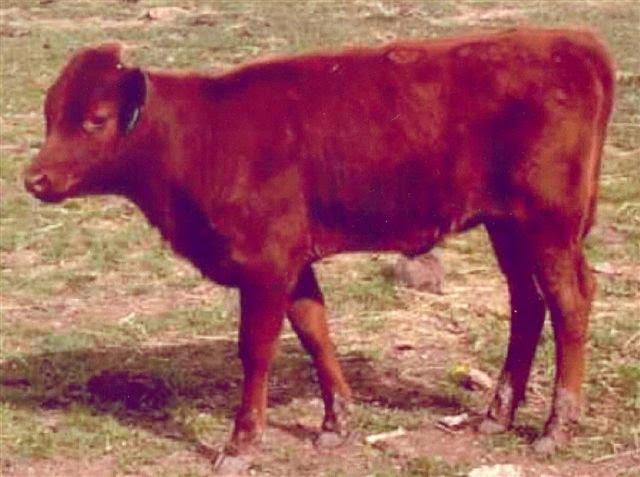 So, Moshe would naturally resonate with a process that defies death, because his aim was to do just that- hence, his special affinity for the Red Heifer. Next week is Gimmel Tammuz, the day when we commemorate the Rebbe's yarzteit. Back in 1994 the bets were on that Chabad would wither and become insignificant without a Rebbe who could give rousing public addresses and mail responses to letters seeking guidance and blessing. Chabad's meteoric growth in the last twenty years has defied the death that the experts foretold for it. But, that is also no surprise, considering that the Rebbe was fixated with Moshiach, who will bring death to its knees. Like Moshe's, the Rebbe's teachings and deeds live on and will endure all the way until they achieve their purpose of "swallowing death into eternal life" with the imminent arrival of Moshiach.